Dominic Chapman's classic snails with garlic butter recipe features a heady garlic butter which the snails are cooked in before serving. 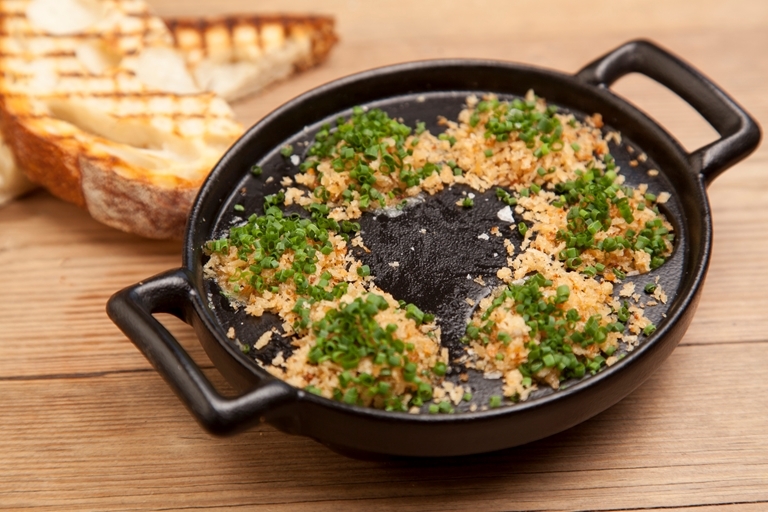 Topped with crispy garlic breadcrumbs and Gorgonzola cheese, this makes a rich starter and is a great way to try eating snails. You will need 4 snail dishes, cast iron dishes with holes for the snails to sit in, to serve this recipe.